By Johnny Benz, Doghouse Boxing. -	If you're about to step into a Boxing ring with Manny Pacquiao, then drinking booze during training camp is probably not a great idea. This is exactly what former boxer turned promoter, Oscar De La Hoya did. In a recent interview with Espn Deportes, De La Hoya confided he was enjoying alcoholic beverages during his training camp for his fight with Pacquiao. "I was drinking during camp," De La Hoya told the program. De La Hoya added: "A week before the fight with Pacquiao, I was having wine, beers, because I said he is not going to beat me." Yeah, booze has been known to give one a sense of false courage. You don't need me to tell you that what De La Hoya did was foolish beyond belief. The end result of De La Hoya vs. Pacquiao... The fight was stopped before the start of the ninth round, giving the victory to Pacquiao. 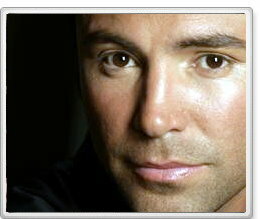 You can find much more on Oscar De La Hoya and Manny Pacquiao by visiting the homepage here at Doghouse Boxing. Move over Lady Gaga, & Justin Bieber, Mike Tyson wants your Job!